Kevin runs The Cheese Wedge; the choice of cheese on offer makes it difficult to choose. Kevin’s philosophy is try before you buy making choices easier! 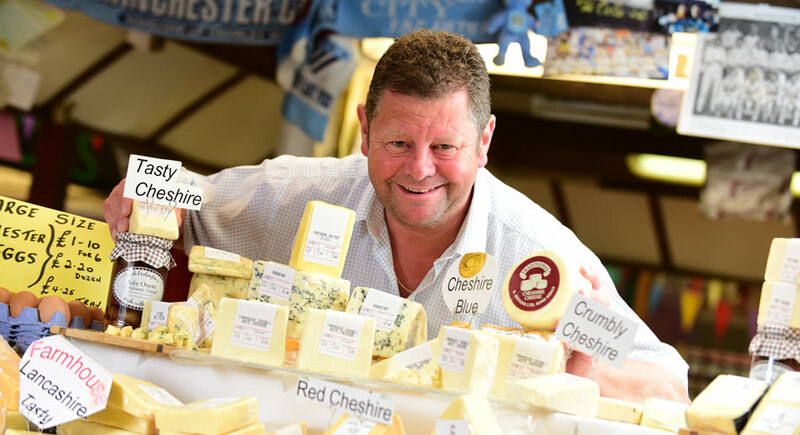 Our stall is all about cheese, from creamy camembert to stinky stilton, mature cheddars to chilli delights, we can guarantee to tickle those taste buds. Why not try our tasty chutneys, a compliment to any cheese! We sell a variety of jams and free range eggs, many choices for any palette. Kevin offers a unique service for any occasion and specialises in Cheese wedding cakes and supplies to many caterers. Locally sourced, this stall is a must.